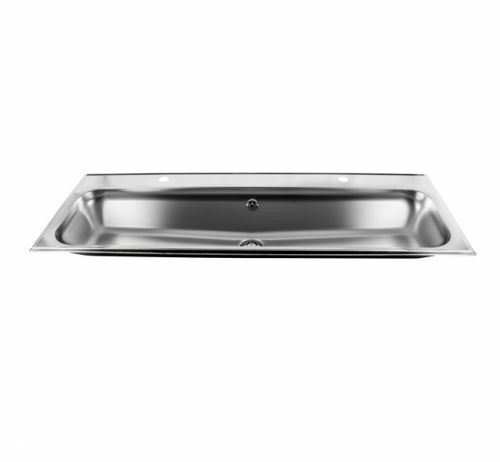 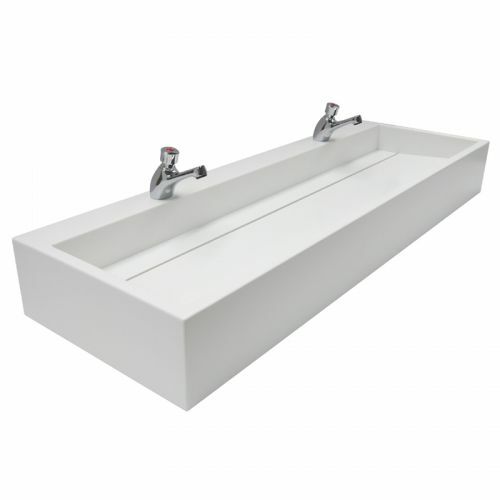 Washware Essentials supply stainless steel hand wash troughs and solid surface resin troughs in a variety of designs and sizes to suit all applications. 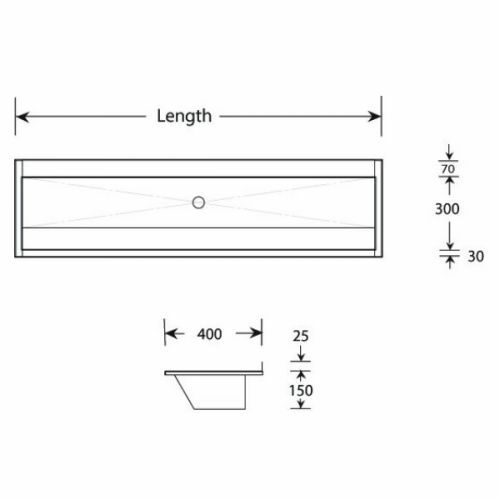 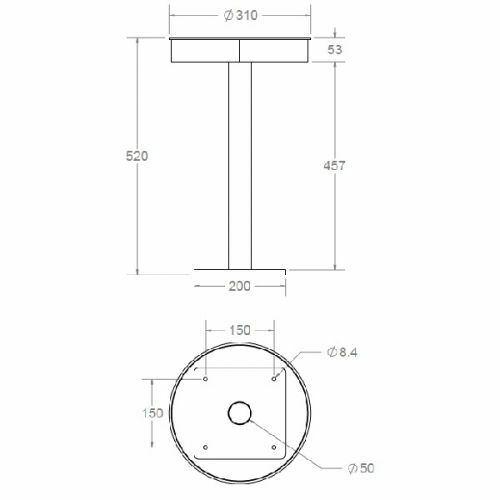 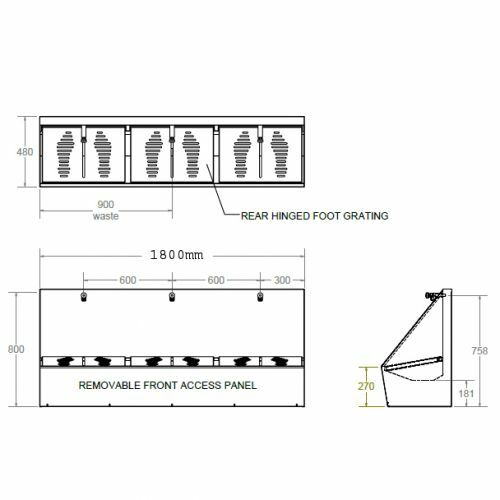 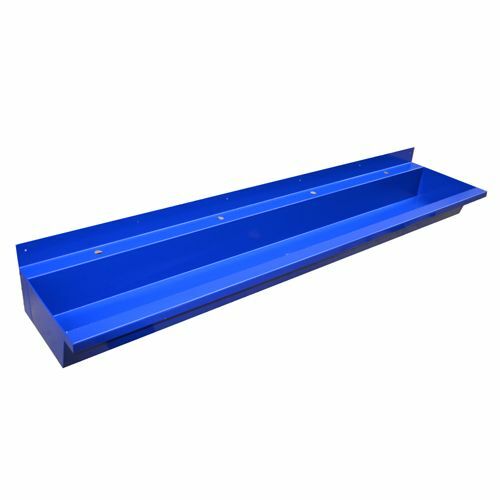 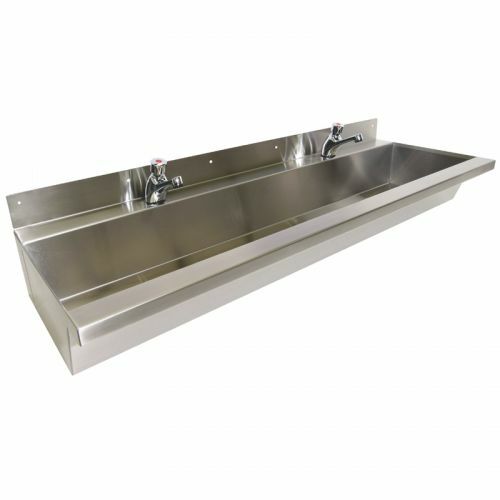 Taplanding and compact washing troughs are available from stock in standard sizes with tap holes to suit all requirements, or alternatively purpose made up to 3300mm long. 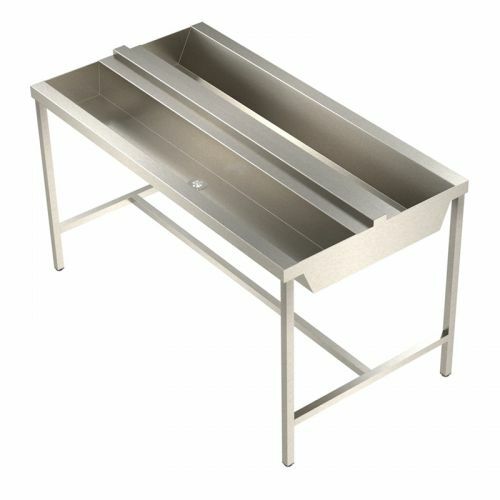 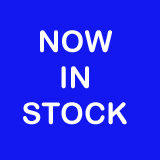 Or our wash trough brochure can be downloaded here. 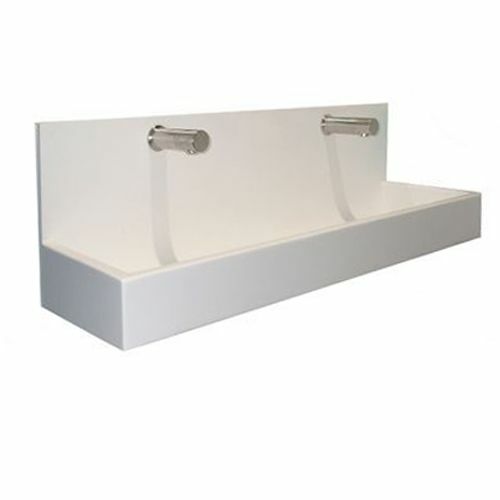 Wash troughs are long, narrow communal hand washing sinks designed for multiple users at the same time. 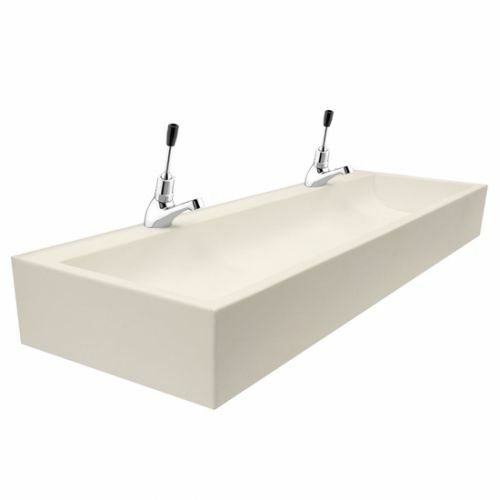 Water is usually pre-mixed and the sinks do not generally fill. 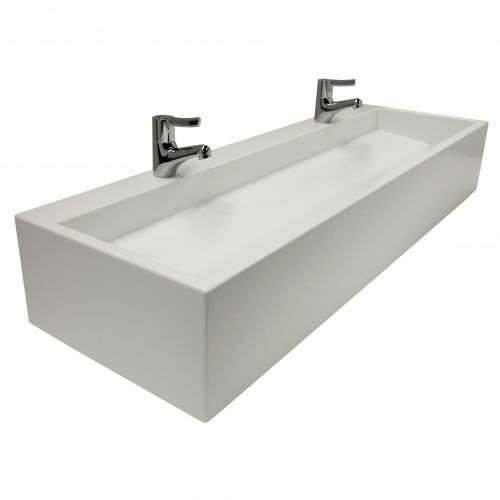 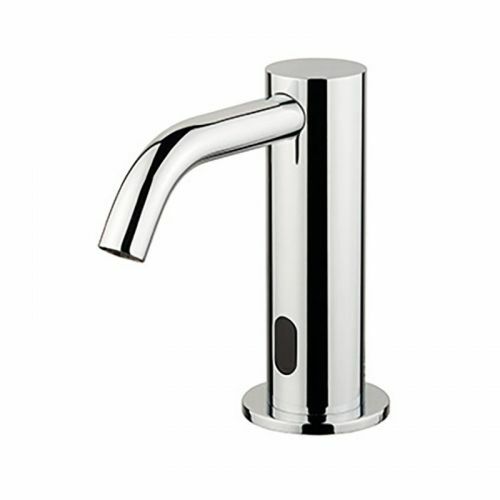 Trough sinks offer a stylish and cost effective alternative to individual hand washing basins, saving on purchase cost, installation time, space and pipework. 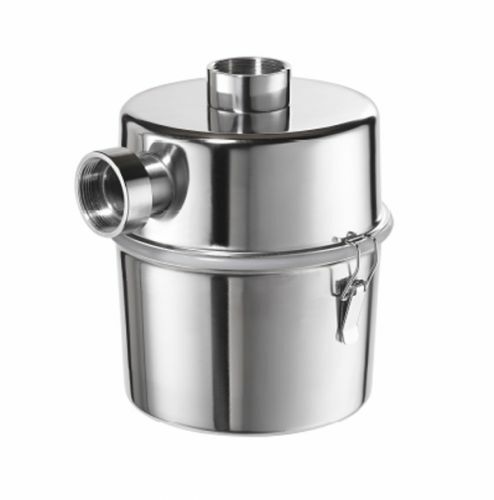 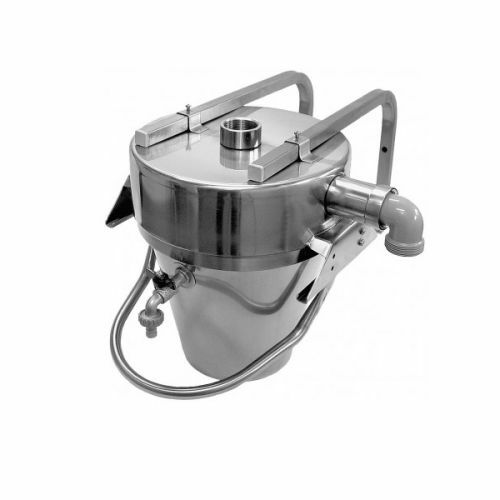 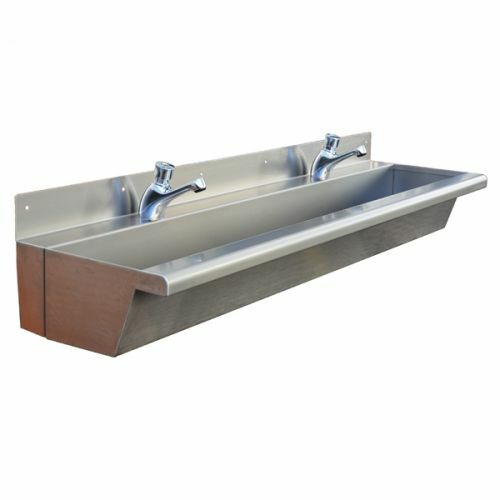 Used extensively in schools, animal farms, factories and commercial toilet areas, wash troughs are available from stock or purpose made to suit your requirements. 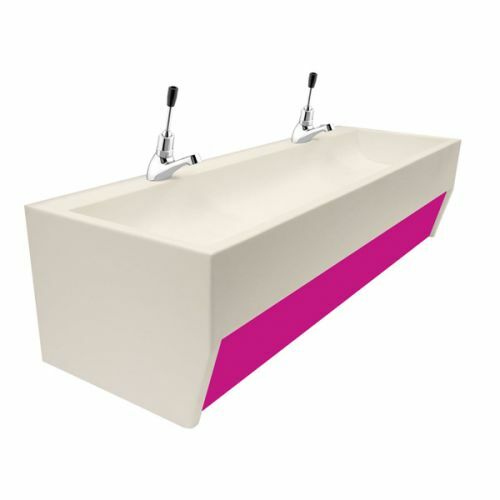 Official guidance from the Department for Education and skills states that wash troughs are preferable to individual wash basins because they are easier to clean, more aesthetically pleasing, and there is reduced risk of flooding. 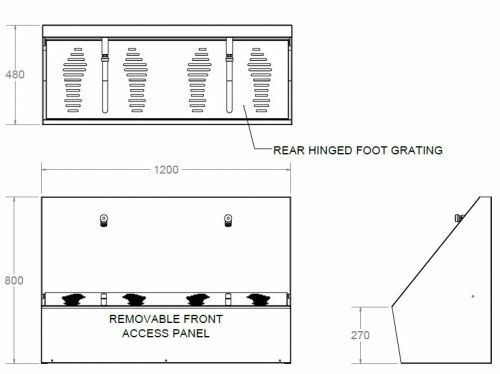 Additionally, the 'Toilets for schools' report recommends that facilities are designed and fitted to a high standard, encouraging regular use - which has obvious health benefits - while also helping to ensure that pupils respect the amenities, potentially lowering acts of vandalism. 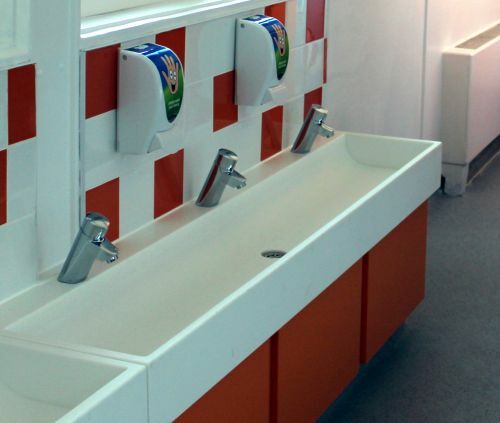 These days, it is common for hand-washing facilities to be seperated from cubicle areas, forming open-plan communal spaces that lead onto corridors, allowing for passive supervision by staff, which improves safety and encourages good behaviour. 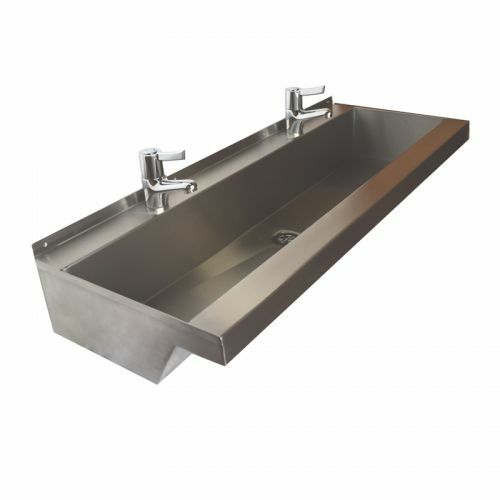 Such designs are often unisex in nature, and quality hand-washing troughs enable maximum usage with minimal plumbing, saving on space, funds and water. 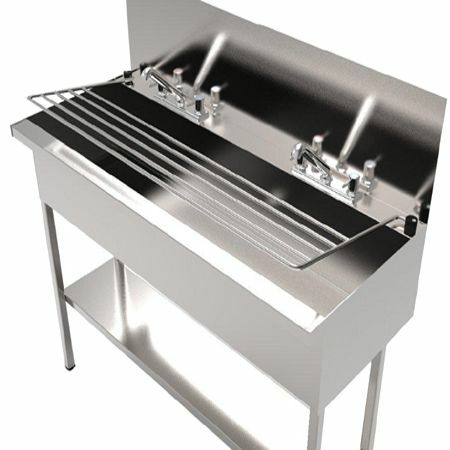 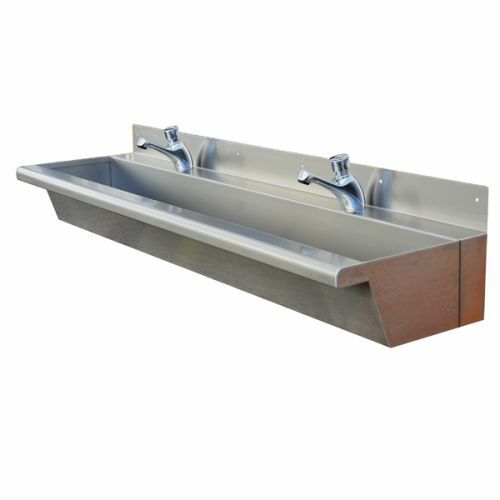 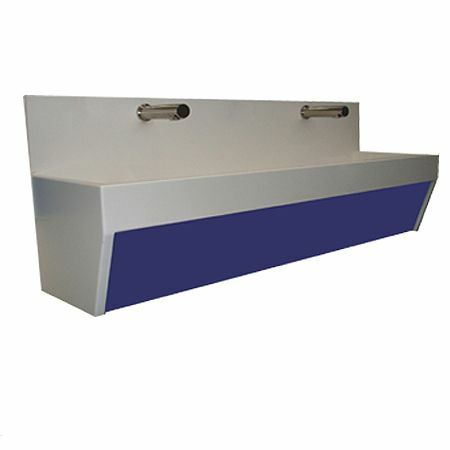 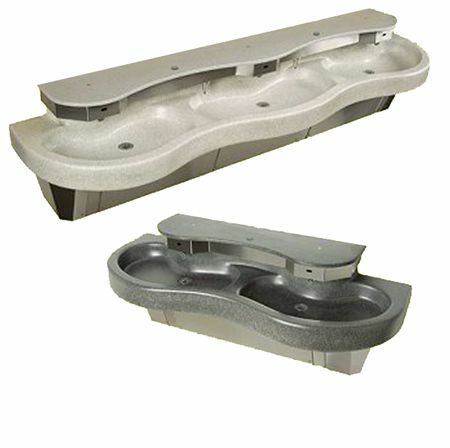 Outside of education, trough sinks are also popular in garages, offices and public buildings. 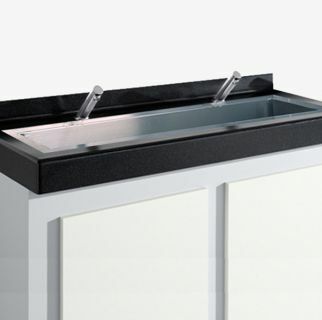 As an alternative to traditional wash troughs, you may prefer free-standing wash fountains. 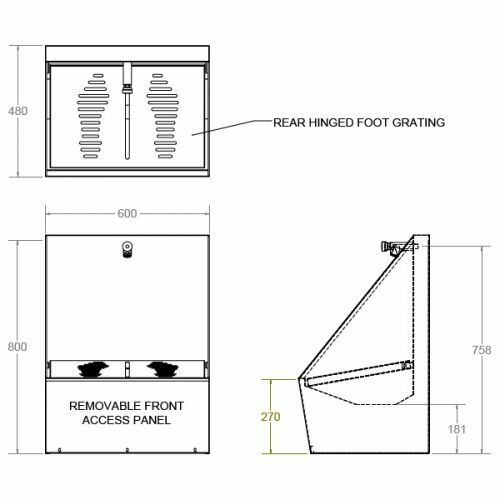 Additionally, our range of wudu foot washing facilities can be installed into washrooms at any school, workplace or commercial buiding, allowing for the ritual preparations of Muslim prayer.